Corner lot! Light and bright throughout! You will be delighted the moment you drive up, charm abounds! Great floor plan! Home features newer vinyl windows, NEW ROOF, CARPET. Fresh interior paint, NEW roof at closing. Master Bedroom has private 3/4 Bath. Three large bedrooms. Family room features fireplace w/insert. Lovely formal living room w/ bay windows, Eat in kitchen also features breakfast bar and garden window. Large fenced backyard w/patio. Great location, minutes to everything. The Towns at Mill Creek Meadows by Polygon Homes. We will offer 2, 3 & 4- bedroom town homes featuring bonus rooms, tech lofts, dens, decks from living rooms, attached garages and so much more! The Residence E1 plan offers 1344 square feet. The home has two spacious bedrooms, each with their own attached bathroom plus den/bonus room down. This spacious two bedroom condo is located in a quiet building, conveniently located by Edmonds Community College, golf course, park and rides and easy highway access. New flooring, new paint, and new open kitchen. Open concept living, dining and kitchen with breakfast bar, private deck with storage room and just enough space to enjoy your coffee in the morning.Comes with washer/dryer, 2 parking spaces and storage closet. HOA includes W/S/G, allows 2 pets (see remarks) and has no rental cap. The definition of urban living, this condominium is close to everything...restaurants, downtown, Capitol Hill, UW, and one mile to Lake Washington. Enjoy the public garden space, picnic table and overall great community feel. Unit boasts hardwood floors and old world charm with modern updates. Granite counter tops and your own washer/dryer in unit. This classic brick condominium building is well maintained and well funded. Storage unit included. Bright, spacious 1 bedroom townhouse style unit in desirable Red Mills condos! Unit features 9' ceilings, huge patio with space to entertain, walk-in custom closet, brand new engineered hardwood floors, gas fireplace, laundry room with full sized washer & dryer, and an over sized 1 car attached garage with extra storage. The community cabana includes a spa, fitness center, room to entertain, and a seasonal outdoor pool. This quiet, FHA approved community is just blocks from Fairwood shopping. Enjoy urban living with close proximity to Pike Place Market and Belltown restaurants and shops. Walk score of 92 and a transit score of 86. Includes parking and storage in secure garage. A well maintained building with 24 hr concierge, an owners' lounge, fitness center and rooftop deck equipped with BBQ. No pet restrictions. A wonderful opportunity to own! This spacious, quiet 1 bedroom home features a large living room, dining room, kitchen, and utility room with a full sized washer & dryer. The west facing, full sized balcony features territorial city and Olympic Mountain views. Secured storage, dedicated parking, and an elevator make this a must-see! Offers will be reviewed as received. This classic Somerset home features sweeping views of Lake Washington, the Olympics, and both the Seattle and Bellevue skylines. The functional floorplan features a main floor master bedroom, formal living and dining rooms, a large eat-in kitchen with exceptional views, stone entryway and well maintained hardwood floors. Located within walking distance of award winning schools and in the heart of everything Bellevue has to offer, this home's vintage details await your modernization. Amazing opportunity in one of Seattle's most sought after buildings, Continental Place. Bring your ideas to life in this bright, spacious condo with stunning, protected views of Mt Rainier & the Puget Sound, floor to ceiling windows and functional floor plan. Live in luxury in the heart of Seattle's downtown with 24 concierge staff, an indoor pool and sauna, gorgeous community terrace, guest suite and more- all steps away from Pike Place Market and world class restaurants and shopping. Vintage charm with new designer finishes throughout! Glamorous kitchen has been updated w/ high end stainless appliances, shaker cabinets, quartz counter tops & artistic tile accents. End your day in this spacious master bed w/ huge walk in closet & additional custom built in cabinets. Treasure cozy evenings by the fire or take in soothing sunsets from your private back deck w/ Sound & Mountain views. Additional updates include newer roof, furnace, sewer line, carpet and new paint inside & out. Bright, spacious 1 bedroom condo in one of Seattles most sought after buildings- Continental Place. Live in luxury in the heart of Seattles downtown with 24 concierge staff, an indoor pool and sauna, gorgeous community terrace, guest suite and more- all steps away from Pike Place Market and world class restaurants and shopping. With stunning, iconic views of the Puget Sound & Space Needle, this home truly has it all! 17 new townhomes 2 blocks to light rail. Walk to historic, downtown Columbia City: PCC Grocer, Columbia City Bakery, and the farmers market. Bright, spacious, and wide 2,075 SF floorplan that lives like a house. Heated garage, 2+ bedrooms, bonus room, 1.75+ baths, 9 ceilings. Premium finishes. Energy efficient heat and AC, induction cooktop, Energy Star appliances, and pre-wired for solar and car charging. Charm abounds in this lovely, updated Craftsman. Perched high above the street, this home features original hardwoods and pocket doors, a spacious master retreat, a gourmet kitchen, and an oversized deck for entertaining. The newly remodeled basement is brimming with possibilities. Brand new roof, electrical panel, insulation, and custom cedar fence make this classic home a must-see! Hip, Central, Green: Barcelo Homes strikes again in booming BEACON LINK! Savor ultra-convenient N. Beacon Hill LINKED to cool spots & transport like 90, 5, light rail & streetcar, yet tucked away on quiet res street! 1754-1825 sq ft (inc heated/fin garage) of quality: radiant heat + AC, wood flrs throughout & designer's touch! Big roof-top deck captures sunny views! Enjoy benefits of 4-star Built Green targeting: efficiency, sustainability, comfort, savings! This perfectly located, like-new townhome is beaming with thoughtful upgrades and custom finishes. Main floor features gorgeous hardwood floors, stainless steel appliances, and custom Abodian cabinets. 2 landscaped patios make summer entertaining a breeze. Much wider than your average townhome, this unit's floorplan is ultra-functional, featuring 3 upper level bedrooms. 1 block from the street car, 2 blocks from Pratt Park, and steps away from everything Seattle has to offer- this home has it all! Well maintained 5 bedroom Craftsman Style Home. More home than you can imagine in this 3 story home with lots of upgrades. Marble flrs in master bth, Walk in closet, Granite Counter Tops, Jetted Tub, Crown Molding, Central Vacuum, Hardwood Flrs, Wall-To-Wall Carpet two car garage,and much more. Minutes from downtown, and I-90 FRWY, Walking Dist. to I-90 Park and Bike Trail to LK WA, the perfect home for entertaining. Come enjoy the luxury of city living. This perfectly located, better-than-new townhome is beaming with thoughtful upgrades & custom finishes. Main floor features solid Acadian hardwood floors, custom kitchen tile, designer lighting, and custom surround sound. Upper level features 2 en-suite bedrooms with California Closets, & a custom metal railing. Ductless AC to keep you cool all summer, and the fenced patio is perfect for entertaining. Located steps away from lightrail, PCC, & everything Columbia City has to offer. Welcome home! 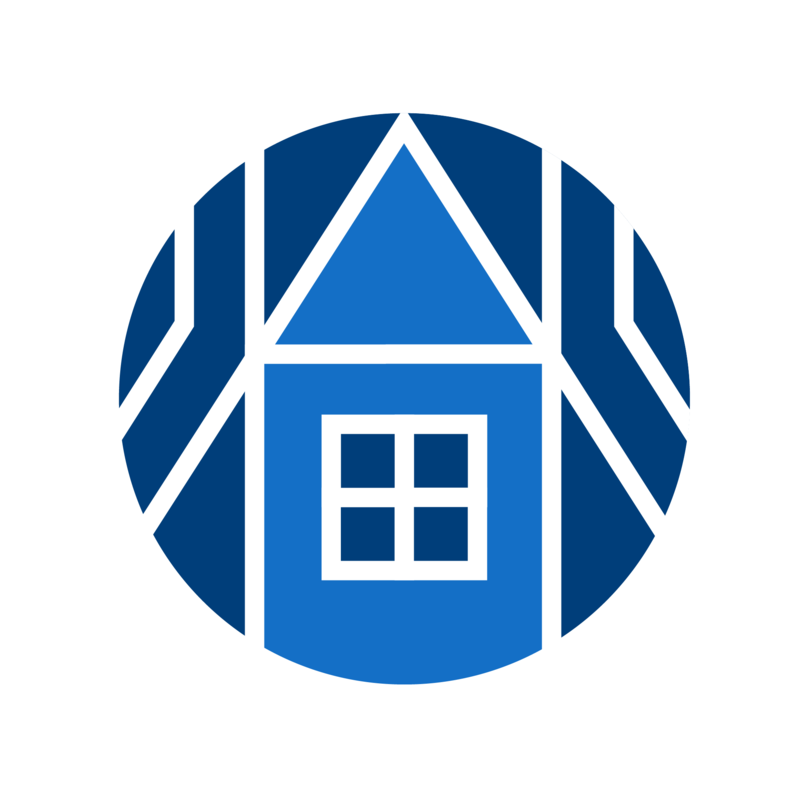 Live in one of Seattle's most desirable condo communities! This 1 bedroom + den home welcomes you with a courtyard view, gas fireplace, many windows for a light interior. Enjoy the designer touches! W/D incl. Bldg amenities: 24/7 concierge, 2 guest suites, club room, fitness center, conference room, common area internet access, electric vehicle charging station, car wash. Arguably the best roof top deck in Belltown with a stunning Bay View! Secure garage parking + storage locker. Hi Walk Score! Exquisite rings true in this custom built well accommodating 6 BD/3.5 BA home.Entry boast inlaid hardwood floors,vaulted ceilings,grand staircase andcolumns.Meander pass the office/den through the formal living,dining and family room,where you will find not 1 but 2 gas FP.The gourmet kitchen notes slab granite,prep areas,custom built ins,multiple areas for added dining.Upstairs host an amazing MSTR STE which truly impresses. LL host a complete 2nd living quarters for guest,rental or host an AIR BandB! This end unit, like new townhome in highly desirable Sylvan Ridge is brimming with thoughtful upgrades. Large, open concept main floor is perfect for entertaining, and features designer paint, subway tile backsplash, custom pantry, and covered deck. The upper level features 2 large bedrooms, plus den, and a custom walk-in master closet. The tranquil ground-floor bedroom opens to a covered patio. All this a short drive to the Junction, Lincoln Park, and West Seattle bridge. Welcome Home! Stunning home mins to Town Center & new transit Green Line. Curb appeal abounds w/ brick facade, gated yard & covered front porch. Remodeled w/ marble entry, 6-panel doors, updated fixtures, lever door handles, new carpet & hardwood flrs. Liv rm w/ cathedral ceilings & new fireplace surround. Chef's kitchen w/ slab marble, upgraded ss appliances & garden window. Master w/ vaulted ceilings & luxury 5-piece bath. French doors off din rm to yard w/ private gated access to Wexford Court park & more! Spacious 2br/1.75ba condo in a quiet, well maintained building near Downtown Bellevue. This well cared for unit is perfectly situated within walking distance to restaurants, Bellevue Square Mall, parks (including the new Lake Washington Parks), a movie theater, and more. Complete with 2 dedicated parking spaces and storage- this unit has it all, including award-winning Bellevue schools. Welcome home! This beautifully remodeled home is brand new from the roof down. Walk into an open concept living room and kitchen with brand new S/S appliances, a gas range and brew a hot cup of coffee from the built in Keurig in the refrigerator then sit next to the fireplace and enjoy the day. With 3 large bedrooms upstairs you have plenty of room for office space or spare bedrooms. Downstairs offers a massive master bedroom and ensuite as well as wet bar and bonus room wired for sound. Artistic interpretation of a classic post-war West Seattle Cape Cod. Brilliant location on a quiet residential street just a few blocks from the amenities of Westwood Village, bustling White Center, and West Seattle within easy reach to parks, schools and commuter options. Plenty of private yard space to enjoy or expand the current footprint to build upon the dream. Updated kitchen and bath, quartz countertops, hardwood floors, free-standing woodstove and brand-new roof this year. Bring it home! This thoughtfully updated split level home in popular Kennydale features gorgeous hardwood floors, granite counter tops, stainless steel appliances, and new tankless hot water system. The large, level backyard is fully fenced and ready for your summer BBQs. The basement is prepped and ready for the addition of a master bedroom, complete with a large en suite and fireplace- finish it for instant equity! Under construction, finish approx. August 31 2016. Experience life in West Seattle at Sylvan, with its brand new modern single family Townhomes just minutes from the City. Designed to make the best use of space, Sylvan homes are large, 3 story, open concept plans. 3 beds, 3 baths, den, attached garage, laminate wood flooring, Silestone Quartz counters throughout! Large, open kitchen with breakfast bar and island, perfect for entertaining G-Alt Plan. Zero Lot Line Townhomes!. Stunning townhome with an extra large intelligent floor plan. Chef's kitchen with granite slab counters, stainless steel appliances & gas range. Hydronic heat in floors. Tons of storage and attached 2 car garage. Close to shops, transportation, & downtown. Living room w/gas fireplace and deck. Upstairs features two large beds including master suite and loft with endless possibilities. Third bed/den at entry level. Fully fenced low maintenance yard perfect for a late summer BBQ. No HOA dues. Well maintained mid-century brick home in the heart of Beacon Hill. This 4 bedroom home features hardwood floors, updated kitchen and bath, spacious family room in the basement with fireplace and 1 car attached garage. Large yard includes fruit trees, shed and a large covered patio; perfect for outdoor entertaining. Comforts include a heat pump for A/C, fenced yard for privacy and large bonus/storage room in the basement. Easy access to I-5, Light Rail and the Chief Sealth Trail. Better than new, this pristine, 2 years young townhome boasts $25,000 in upgrades, including solid hardwood floors, Bosch D/W and W/D, custom metal handrails, new paint and carpet, designer light fixtures, tile backsplash, and many more. Located next to light rail, the new PCC and all that Columbia City offers, this modern home features 2 upper en-suite bedrooms, spacious chef's kitchen with open concept main, and fenced backyard and patio with detached garage. Turnkey. Charming Shoreline home in a fantastic location near library, parks and restaurants. One level living with lots of natural light on a quiet Dead End street. Home boasts beautiful oak floors and an updated kitchen with an open floor plan. 3 bedrooms and 1 bathroom. Large deck in the backyard offers a private bright space for entertaining, gardening, or just relaxing. Three storage sheds and a covered carport means that there is plenty of space to store your recreational equipment. Easy access to I-5. Spacious 1 BR + den in one of Capitol Hill's most sought after locations. This sleek and stylish unit features custom lighting upgrades, built in surround sound, California Closets, and Hunter Douglas blinds. Steps away from all of the restaurants, nightlife, and coffee shops the 12th Ave corridor has to offer- and within blocks of the new light rail station scheduled to open in March. Strong HOA, low dues, and one of the best rooftop decks in the city make this unit a must-see! Under construction, finish approx. late 2015. Home! Experience life in West Seattle at Sylvan, with its brand new modern single family Townhomes just minutes from the City. Designed to make the best use of space, Sylvan homes are large, 3 story, open concept plans. 3 beds, 3 baths, den, attached garage, laminate wood flooring, Silestone Quartz counters throughout! Large, open kitchen with breakfast bar and island, perfect for entertaining!G Plan. Zero Lot Line Townhomes!. Modern sophistication at best! Ultimate convenience of living on the cusp of West Seattle, minutes to dwntn and in a community w/lush parks, civic center, library, bus lines, coffee, cafes, shopping and more! This immaculately upgraded 2bd lives lrg w/vaulted ceilings and a fully enclosed, outdoor oasis w/a covered patio and stress-free turf. Custom lighting, strg/office built-ins, Smart Home tech and premium appliances - you will feel the difference in the tasteful contemporary details this home offers! Unique, well maintained 3 bed/2 bath home sits atop an expansive 9,700 sq ft fully fenced lot. The sunny kitchen and dining room open up to a large deck that captures lovely views of Lake Washington, along with sweeping territorial and mountain views. Home features radiant heat, double pane windows, and trek decking for easy maintenance. 2 story detached garage provides extra storage or work space. With busses and light rail nearby, this urban retreat is a must see! Tastefully updated home in Beacon Hill community. Hardwood floors throughout, kitchen with SS appliances, qrtz counter tops, plenty of cabinet space. Bathroom features floor to ceiling tile walls, tile floors, bronze fixtures. WandD hook up in garage. Spacious and fully fenced backyard, detached garage and alley access. Det. garage can potentially be converted to add'l living space or rental unit for add'l income. Close to freeways, bus line, mins to dwntn Seattle. Great opportunity not to be missed! This bright, move-in ready town home in The Towns at Mill Creek Meadows has it all! The expansive, bright main floor is perfect for entertaining. The kitchen features gas cooking, SS appliances, large island, and tile backsplash. The 2 large bedrooms each have their own en suite baths. Lower level den/office has an attached 1/4 bath. Large 1 car garage has ample room for storage. Situated within walking distance of shopping, parks, trails, and schools, this home is a must-see! Delightful home on huge 9500 sq ft lot. Great Shoreline location on a quiet street. Hamlin Park and North City amenities are close by. Easy access to I-5. Beautiful bamboo floors. Plentiful natural light. New roof. Copper plumbing. 400 sq ft unfinished basement with good ceiling height and an exterior entrance, ready for your ideas. Private, peaceful back yard with beautiful, mature trees and original rock terraces. Deck off kitchen. Detached 1 car garage and plenty of off street parking. Welcome to The Parc- in the heart of everything Belltown has to offer. This studio's functional floor plan features a full size kitchen with gas cooking and stainless steel appliances. Live in style with 24 hour concierge staff, a fitness center, owner's lounge, guest suite, and rooftop deck that features sweeping views of the Puget Sound and Seattle skyline. Located steps away from world class restaurants and shopping, this is Belltown living at it's finest! No rental cap. Wonderful investment opportunity in a great, quiet Issaquah neighborhood. Bring your builder or contractor- this oversized, level lot is ready for your plans. This is a tremendous opportunity to build or fully remodel for rental investment. Come experience urban living at its finest! This light, bright, immaculately maintained 1 bedroom in the Carbon 56 building boasts an oversized kitchen and has designer touches throughout. Sleek, loft-style design combines seamlessly with convenient amenities such as in-unit laundry, a fitness center and secured parking, creating the ultimate city living experience. Within waking distance of Amazon, and with an overall Walk Score of 98- this home is a must-see! Move in ready, 2 bed condo w/parking! Bright & spacious living w/open floor plan & lots of windows! Living room hardwoods open to updated kitchen featuring granite counters, ss appliances, & breakfast bar. Generous sized master bedroom w/en suite bath as well as 2nd bed & bath. Secure parking & storage in garage. Enjoy highly desirable and rare fenced backyard! Explore Seattles best known hotspots in Fremont, including Revel, Roux, Theo Chocolates, as well as Gas Works Park. Walk score 89! Be inspired by a bright modern kitchen with new stainless appliance package, artsy back splash and lovely wood floors. New W/D in utility/half bath. Three bdrms & a full bath share the upper floor. Fenced entry yard and patio off the kitchen are an added bonus for pet owners. Off-street dedicated parking space is included but with a walk-score of 90 (Walker's Paradise), who needs a car!?! Stylish, spacious, end unit townhouse tucked away from the main road, highlights expansive territorial views from your front balcony. Entertainer's kitchen with stainless appliances & granite slab countertops opens to a large living room with 9ft. ceilings & gas fireplace. All of the bedrooms are thoughtfully located on one floor including master with en suite & hall laundry. Plenty of storage space & big attached garage. Easy access to freeway, Valley Med Center, shops and Seatac airport. Elegant hardwood floors, glass pocket doors from living room to third bedroom/den, and huge backyard with grass volleyball court highlight this two story home with many improvements and daylight lower level. All new windows in 2013, all new plumbing in 2009, new exterior paint in 2013, all new copper wiring, new waterline to street, roughed in plumbing and wiring for lower level bathroom; the heavy and expensive work has been done. Access to the park is just down the street. Your home now! Location, Location, Location! Nestled on a quiet street, this well maintained 2BR/1.5BA rambler is 1 block from Nathan Hale HS, and a short distance to the I5 Express Lanes, Burke Gilman Trail, and shopping. Mature gardens, new paint and carpet, and a large, freshly stained deck make this a must see! Owner loved this home for many years. Nicely maintained. Home features a formal living room, dining room & a very large family room with a wood burning insert. Original hardwood under carpet except for the addition . The large, covered patio is wonderful for entertaining. Beautiful, mature landscaping, fully fenced yard with double side gate for RV parking & RV dump. 10 x 12 shed. Vinyl PUC lifetime roof installed in 2012. Conveniently located with quick access to Burien & downtown Seattle.